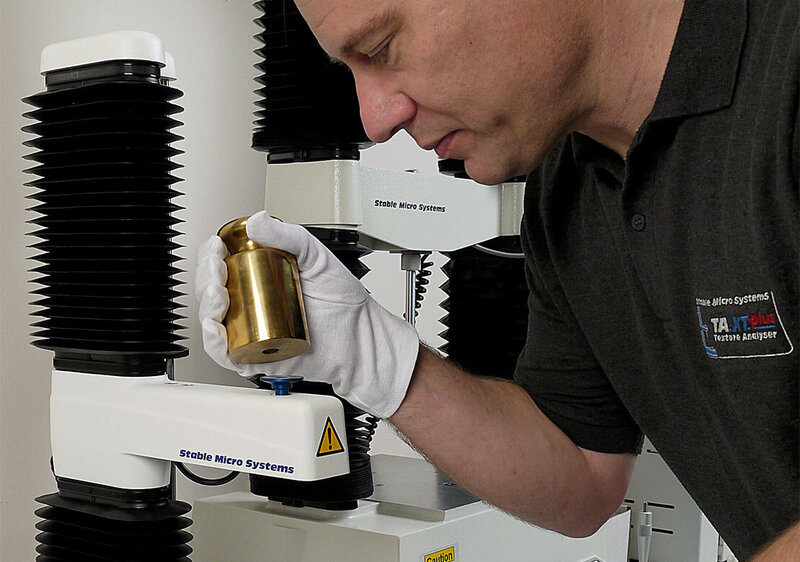 Check out the procedure for peace of mind to maintain your instrument’s accuracy. From the tool bar menu, click on T.A. 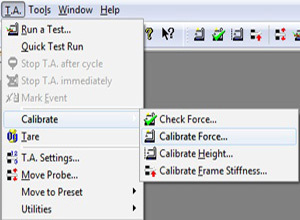 > Calibrate > Calibrate Force. Select either Factory or User, as required. 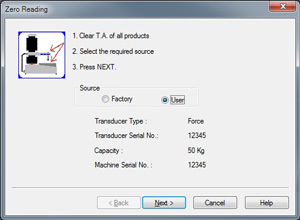 The installed loadcell capacity is identified. 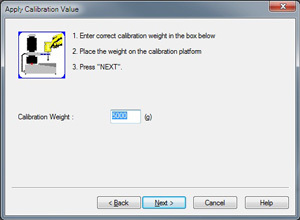 Select the calibration weight of your choice. This window should be displayed. 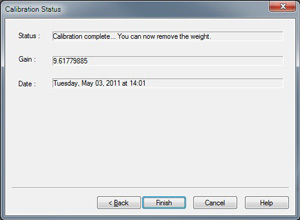 Remove the weight from the calibration platform. 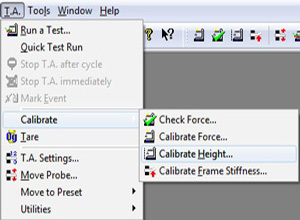 Only required if you wish to: a: measure in % strain; b: record the height of the product during the test; c: use a button trigger; d: start each test from the same position; e: pre-set probe positions in the Move Probe window. From the tool bar menu, click on T.A. 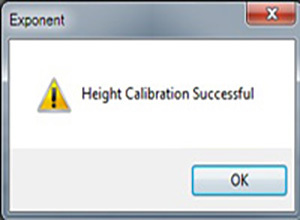 > Calibrate > Calibrate Height. 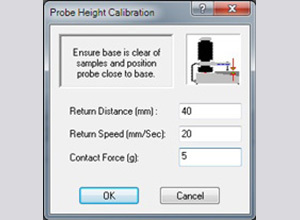 Select the Return Distance and the Speed you wish the probe to move to this once it has touched the contact surface (0mm). If probe height calibration has been successful, this window will be displayed.